View all schedules for Bus Stop 730. Find routes that can help you easily commute in and around the Charleston Metropolitan Area. Download “Transit” and travel like a true Charlestonian. 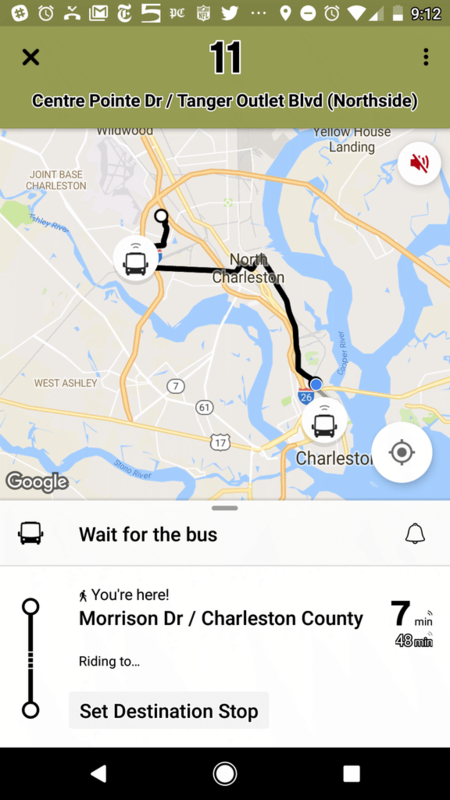 Available in the App Store and on Google Play, “Transit” offers numerous features to help you easily navigate around Charleston. Bus Route: See vehicle locations in real time, find nearby stops, and receive stop announcements. Service Alerts: Keep on top of schedule changes, stop relocations and other unexpected surprises. Favorites: Always take the same bus? Move it to the top of the list by adding it to your favorites. Timetables: View the full schedule for a route and set alarms to remind you to leave. Countdowns: Get real-time predictions based on data from the transit agency. “Go”: Get step-by-step transit directions and notifications about when to leave for your trip and when to get off the bus. Plan a trip! : Compare trips side by side with your preferred transport modes selected. Children under 6 are FREE. Get tips for turning in found items and retrieving lost items on a CARTA bus or DASH shuttle. How can I locate bus stops? How do I identify my bus? Does CARTA offer discount fares? Where can I purchase a pass?